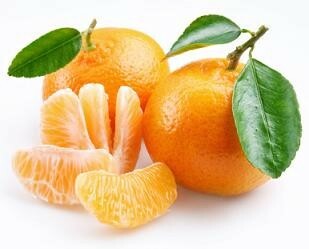 The Clementine is a member of the mandarin orange family, and they have no seeds to worry about, just peel and eat. They are very popular around the Christmas holiday season. The clementine contains almost no fat, is very low in calories, just 47 calories per serving (100g or 3.5oz), contains no cholesterol, and is therefore great as a little snack. They are packed with vitamin C, with one serving providing nearly all of the recommended daily intake. Vitamin C boosts our immune systems, is thought to slow the onset of Parkinson’s disease, helps to lower blood pressure and reduces the risk of the hardening of our arteries. 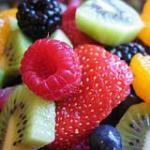 These little fruits also provide a good source of the B vitamins, especially folic acid (B9) and thiamine (B1). Thiamine is thought to help protect us against diabetes. A person deficient in thiamine could have a greater chance of suffering from cardiovascular disease. Alcohol inhibits the absorption of thiamine. Folic acid is required for our cell growth, to protect us from anemia and for the production of red blood cells. Clementines are very fragrant when peeling and can therefore trigger our body to release endorphins giving us a feeling of calm. If you are using the zest of the clementine for cooking, ensure its thoroughly cleaned to remove any chemical residue. 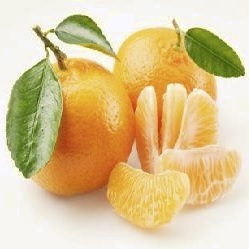 Compare clementine nutrition facts to the other fruits.